Asset allocation is too important to be left to passive management and taking an active selection approach can maximise an investors chances of achieving their investment objectives, writes Richard Temperley. The debate between the proponents of active versus passive investment management has raged for many years, with various camps of academics and practitioners arguing their viewpoints. The irony - that passive managers follow the sum of the decisions of active managers - is a fact that is often absent from the debate. But if we move from the arguments to the actual market backdrop, it is interesting to note that a significant cyclical factor, namely stock correlations, is now likely to work in favour of active stock selection by strong active managers. When correlation between stocks is high and it then begins to fall - both conditions are currently in place today - it can be a rewarding environment for strong active managers to pick individual stocks. Put another way - as stocks move less in unison with one another and exhibit more individual characteristics, active stock selectors are provided with opportunities to outperform. From an Irish investment industry perspective, however, the real debate should not be about active versus passive stock selection. Instead it should be about active versus passive asset allocation. It's the asset allocation of any portfolio that is the ultimate driver of returns. All investment portfolios have an asset allocation; whether intentional or not. Once that asset allocation is set it will move immediately based on the relative market returns of its component parts. The makeup of those component parts must be actively monitored and managed - this is what asset allocation is - if the investor is to maximise the chances of achieving their objectives. Leaving asset allocation to drift passively - to chance in other words - means that the objectives of the investor are less likely to be achieved, surely something that investors should avoid at all cost. Two of the largest growth areas in Ireland since the property-led meltdown of 2007/08, have been multi-asset risk-targeted funds and cash-plus diversified growth funds. Many of these funds engage in active rather than passive asset allocation. Dogmatically relying on any passive long-term strategic allocation can be detrimental, especially where investors have multifaceted objectives across a continuum of time frames. Market conditions are constantly changing while short-term risks can dominate news headlines and market volatility. Active asset allocation, using a 'top-down' macro perspective, can deliver additional returns and reduce portfolio risks by reallocating capital when capital markets deviate from 'fair value'. Source: Zurich and MoneyMate, November 2016. Performance figures are for 01/11/1989 - 01/11/2016. Annual management fees apply; the fund growth shown is gross of any annual management charge. Returns are based on offer performance and do not represent the return achieved by individual policies linked to the fund. An example of the success of this active allocation approach can be seen by comparing the returns of the actively-managed Zurich Balanced Fund against the average of peers (consensus) multi-asset funds over the last 27 years. Zurich's out-performance, by c1.5% p.a. on average*, has resulted in significantly higher long-term returns. The attribution of Zurich's out-performance shows that active asset allocation decisions, at key inflection points, was the dominant feature. A number of such decisions are highlighted with one of the most important being the strong move by Zurich back into equities in early 2009, on valuation grounds, just before the start of the current bull market. Zurich's newer-generation multi-asset funds, such as the Prisma suite of risk-targeted funds, also employ this active asset allocation approach. From a Zurich perspective, asset allocation is too important to be left to passive management; asset allocation should be actively managed at all times, reducing portfolio risk and making investor objectives more achievable. In addition, a change in the cyclical investment backdrop, relating to stock correlations, may also be supportive of active stock selection into the future. For more information on Zurich's investment management speak to your Zurich Broker Consultant or email me at richard.temperley@zurich.com. *Source: Zurich Life / MoneyMate, November 2016. Richard Temperley is Head of Investment Development at Zurich Life Ireland. 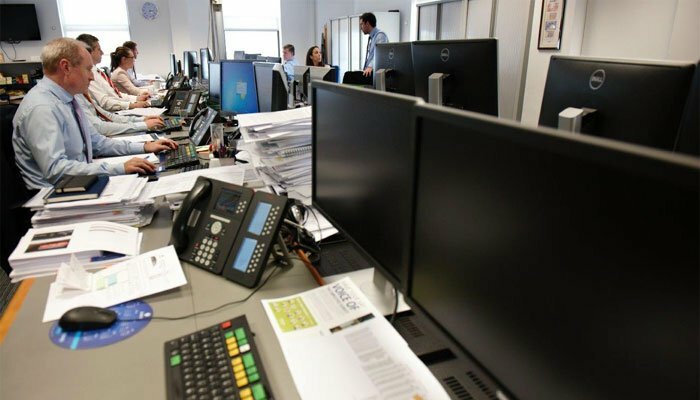 The team at Zurich Investments is a long established and highly experienced team of investment managers who manage approximately €20bn in investments of which pension assets amount to €9.5bn. Find out more about Zurich Life's funds and investments here.